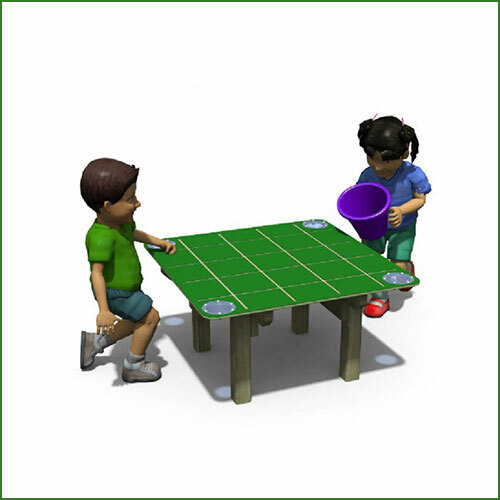 Children can use this table indoors or outdoors to collect objects and materials from around the room or the environment. 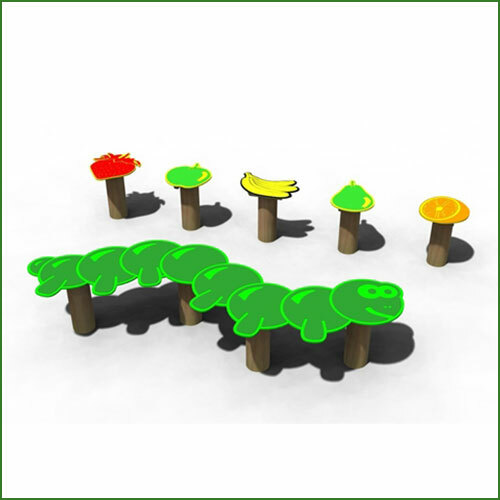 Teachers can use language like ‘sort’, ‘group’ and ‘divide’ to help children separate objects and understand the differences (and similarities) between them; shape, color, size, texture. Once they have grouped the objects they can count them to see which group has the most and they can describe their reasons for putting objects together. 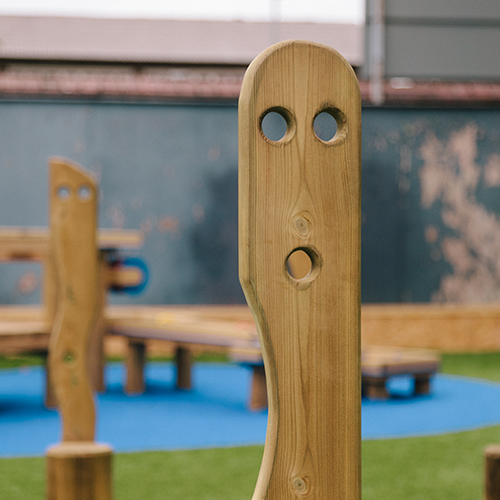 There’s a wide range of cross-curricular activities that children and teachers can invent for the Sorting Table and you can even write on the table surface using chalk and wipe off afterward – anyone want a game of Tic-Tac-Toe? 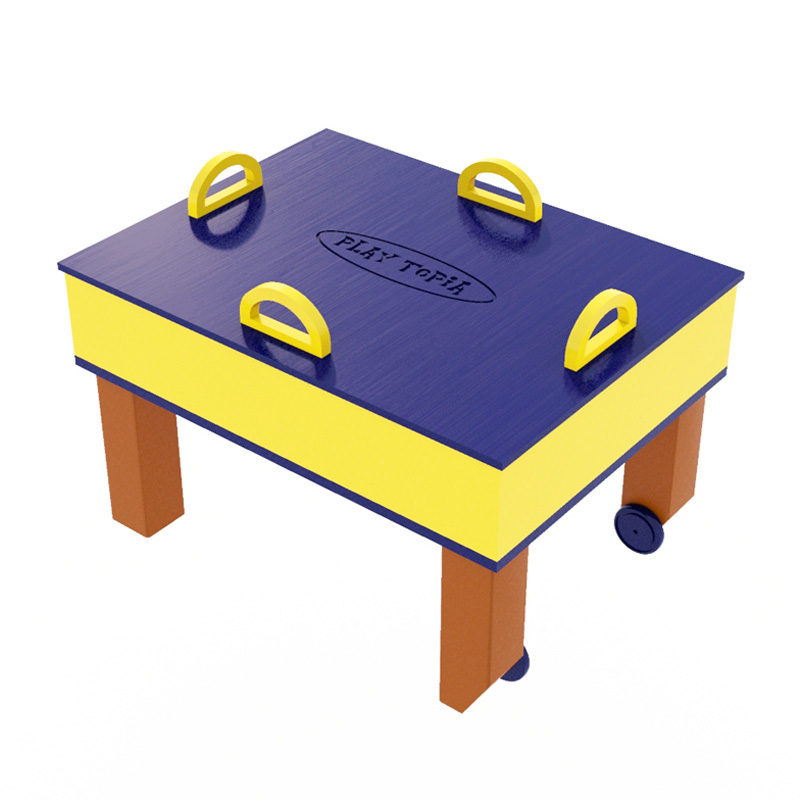 The table top has a grid pattern etched into it and is made of safe and durable HDPE material. 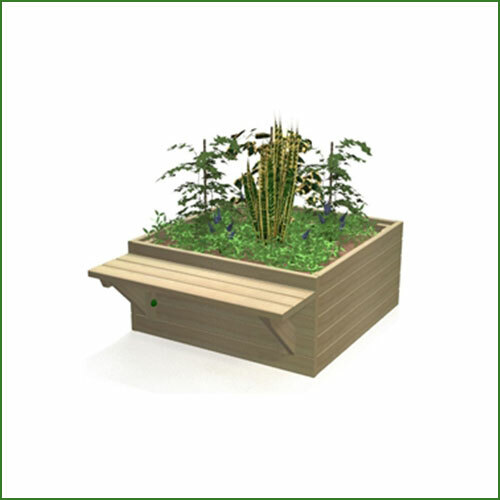 The base is made with outdoor wood and can be freestanding or fixed to the ground. All parts are recyclable. 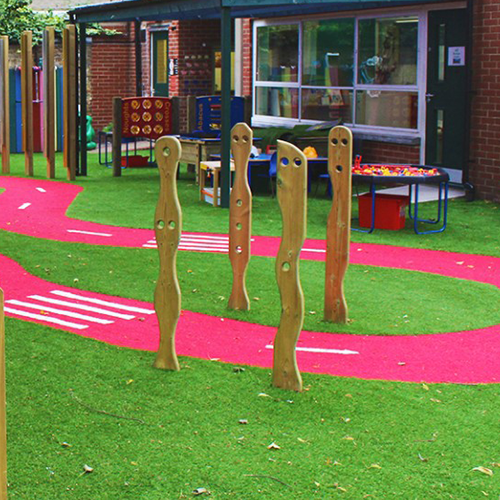 The Nature Sorting Table grid pattern and bowls help children learn to collect, sort and divide found objects and materials. 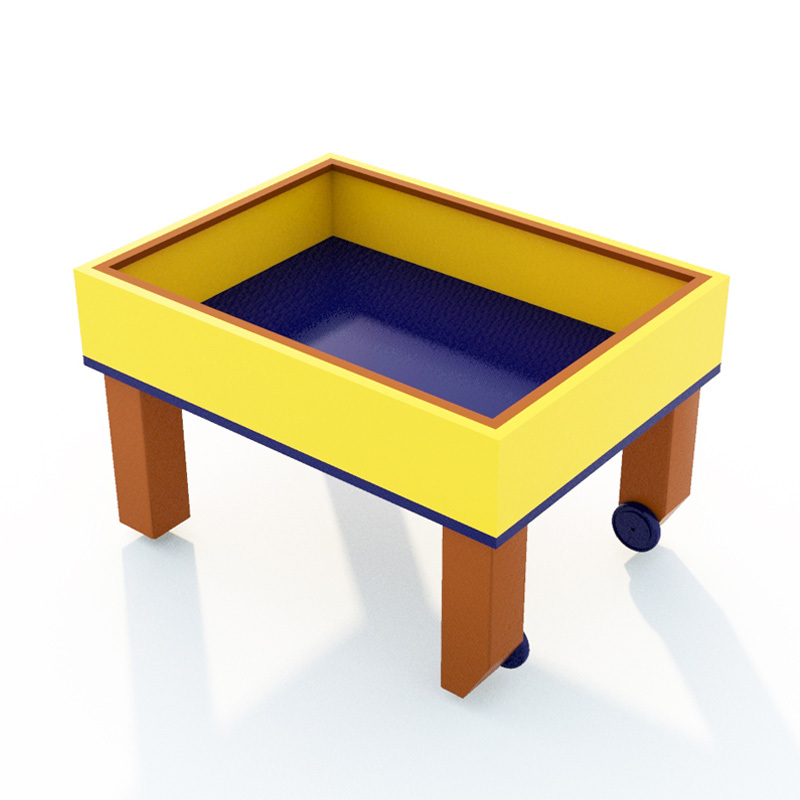 Children can use this table indoors or outdoors to collect objects and materials from around the room or the environment. Teachers can use language like ‘sort’, ‘group’ and ‘divide’ to help children separate objects and understand the differences (and similarities) between them; shape, color, size, texture.